ISM students on the B.Sc.International Management course can begin to make themselves familiar with Chinese customs, since ISM has now added Fudan University in Shanghai to its international network of universities. Starting in summer semester 2019, ISM students on the English Trail and the Global Track will have the opportunity to study at China’s best known public university. As part of the English-language bachelor’s programme ‘Contemporary China Studies’, the students will be able to choose four interdisciplinary courses from the list of thirteen on offer. The academic programme provides theoretical and practical perspectives on China’s emerging status as a global power and the influence of Shanghai on its dramatic socio-economic development. In addition to a Chinese language course, cultural excursions or company visits take place every four weeks. 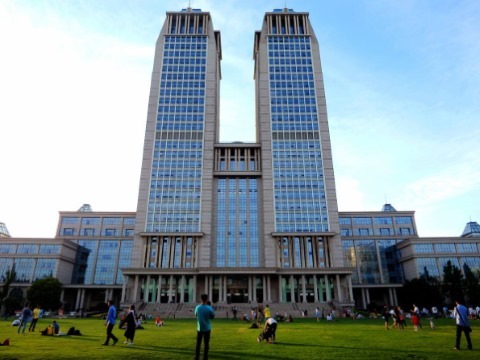 Fudan University was founded in 1905 and is one of China’s most renowned and leading universities. It is even considered to be one of the world’s best in certain disciplines. The four campuses are located in Handan, Fenglin, Zhangjiang and Jiangwan. Over 30,000 students, including more than 5,000 from overseas, study at the four locations. Fudan University’s partners include, among others, Harvard University, and the Chinese university boasts AACSB accreditation.